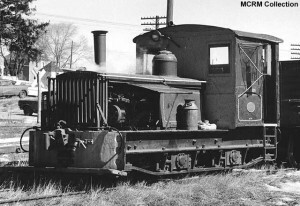 #2 was built in 1928, serial #2911, by the Plymouth Locomotive Company of Plymouth, Ohio. It is powered by a Climax R6U gasoline engine, connected to a manual transmission and clutch, similar to an automobile (although it takes two feet and all a person’s weight to actuate this clutch!). Weight on the two drivers is 18 tons. 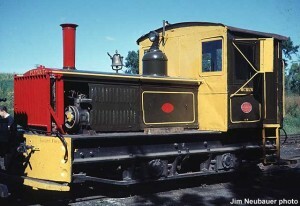 #2 was donated to Mid-Continent by Illinois/Wisconsin Sand & Gravel in 1963. Today, the locomotive is used by the Car Department to move cars within the car shop.